To help prevent substance use problems before they begin, CoveCare Center provides prevention education to students in Putnam County schools and outreach to the public. Putnam County and surrounding areas have suffered from alarming rates of alcohol use, as well as prescription drug and opioid use—and preventable overdoses—among young people in recent years. As part of our mission to partner with the community, CoveCare Center offers prevention education in Putnam County schools. Students from elementary to high school receive evidence-based, age-appropriate lessons that help them develop the skills they need to live substance-free lives. Lessons focus on drug use prevention, alcohol and tobacco use prevention, violence prevention and social responsibility. The Too Good Program focuses on substance use prevention, anger management, violence prevention, conflict resolution, peer relationships, character education, and developing respect for self and others. Lessons utilize puppets like "Carmen the Cool Cat" or include role play to develop skills for healthy decision-making and relationship-building. The Bully Busters Program helps students learn to recognize bullying, respond appropriately in bullying situations, and assist others who are being bullied. The program seeks to prevent bullying and violence, and engages students through interactive lessons. The Cyberbullying Program helps adolescent students understand what cyber bullying is, its consequences, and what they can do if they are cyber bullied. CoveCare Center currently offers Prevention Education at Haldane Middle and High School, Mahopac Elementary School, and Putnam Valley Middle and High Schools. 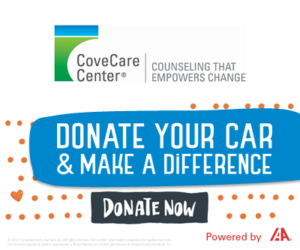 CoveCare Center’s Substance Use Treatment and Prevention program is fully licensed by the NYS Office of Alcoholism and Substance Abuse Services (OASAS).